What is V look Up? V Look up is used when we want to pull out the particular value from the table provided that there is one common factor/value. For example: In attached tutorial, we have the roll number and name of the students as common factor and we want to pull the marks received by the students from table 1. 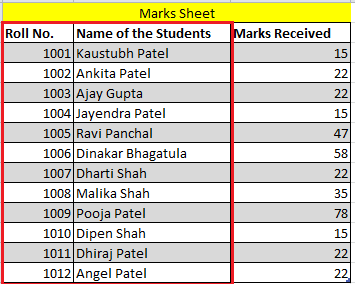 We will pull the marks obtained by the individual students in next table. a) Type the V Look up formula in the column where you want to pull the value or marks. 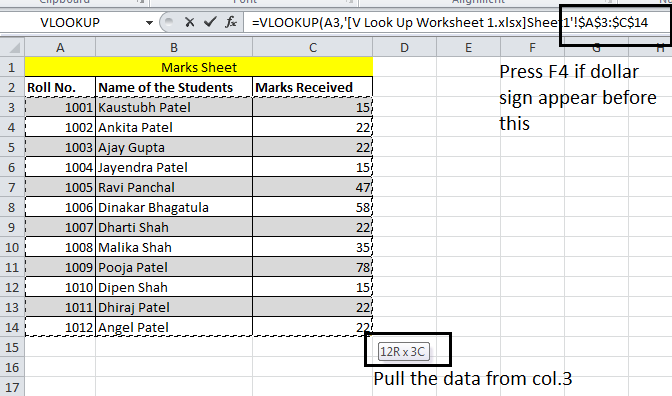 Here in this attached tutorial or files, we will type the formula in column c of the work sheet 2 table. 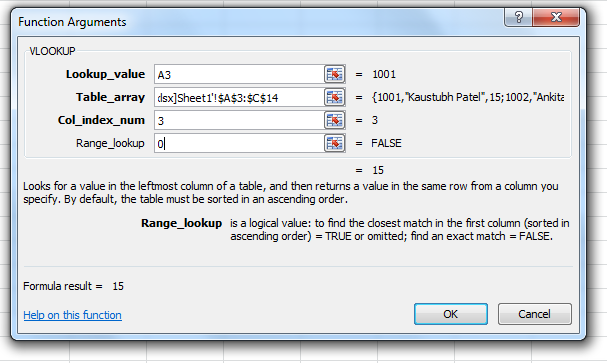 col_index_number mean that column from where you want to pull the amount provided common factor matches. c) Once you completed with the formula press enter to get the value. Then copy the formula and paste the same where you want to appear the value. Do not forget to add 0 at the end of the formula for getting exact result. Zero stand for exact and One stand for appropriate match. a) Click on Function option given the start of function bar in excel.